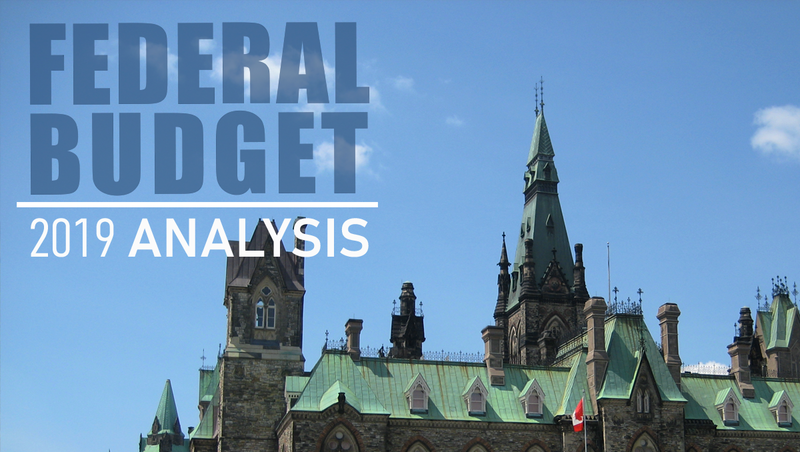 Budget 2019 correctly identified many of the problems that are facing Canadians: lack of affordable housing across the income spectrum, skyrocketing costs of prescription drugs, the need for on-the-job experience for young workers and re-skilling for mid-career workers, the heavy burden of student debt, lack of retirement security for low income seniors, and the continued physical infrastructure needs of municipalities and First Nations communities. Unfortunately, many of the solutions proposed in Budget 2019 are so micro-targeted that few will benefit, and in some cases, the approach found in Budget 2019 will make systemic issues worse. Take affordable housing as an example. This budget will allow first time home buyers to borrow $35,000 from their RRSPs to use on a down-payment, an increase from the current limit of $25,000. This money must then be repaid over the next 15 years. The problem is that fewer than half of workers age 25-33 have an RRSP, and for those that do, the median amount is only $7,000, well below the existing $25,000 limit. So this measure may help a few high-income individuals, but does nothing to change the underlying trends that are making renting and owning housing unaffordable. Another targeted solution for first time home buyers proposed in Budget 2019 is to have CMHC directly lend homebuyers up to 10% of the purchase price of a home, to reduce the size of the mortgage required. In order to qualify, you need to be a first-time home buyer, have at least 5% cash for a down payment, have a total household income below $120,000, and the total amount of the mortgage plus CMHC incentive has to be less than 4 times your household annual income. To get the full 10%, you have to be purchasing a brand new home, but you still get up to 5% for an older house. The most expensive house you could get under this plan would be between $500,000 and $600,000, depending on your household income and the size of your down payment, meaning it simply doesn’t apply for buyers in Toronto or Vancouver. Neither of these measures address the affordability or quality of rental housing, nor do they support the creation of new, affordable housing stock or co-operative housing. On pharmacare, the government has pledged $35 million over four years to create a new drug agency that will assess the effectiveness of new prescription drugs and negotiate drug prices on behalf of Canada’s drug plans. Second, $1 billion over 2 years, starting in 2022, to offset the high cost of, and improve access to, drugs for people with rare diseases. Like housing, the Liberals’ announcements on pharmacare seem to acknowledge major problems with Canada’s current patchwork system of public and private drug coverage. While these limited steps towards improving the system are welcome, they do little to move us further down the path towards a national, public, universal, single payer, and comprehensive pharmacare plan, which CUPE has advocated for many years. The government’s partial and tentative approach is disappointing and shows they still don’t have a strong vision about what they think a national drug plan should look like or how it should be implemented. The government framed Budget 2019 as a “skills budget”, and it included the new Canada Training Benefit, a refundable tax credit of $250 annually (up to a lifetime maximum of $5,000), which can be used to cover up to half the costs of tuition fees at colleges, universities and other eligible institutions. A new Employment Insurance (EI) Training Support Benefit will also provide income support for up to four weeks of training leave every four years. But Budget 2019 ignores workers who need help the most, like precariously-employed or low-wage workers, who may not have any savings and who may not ever have access to employer-funded training opportunities. In order to access the Canada Training Benefit, workers need to have at least $10,000 a year in earnings. They also need to be able to pay at least of half the cost of the training themselves, and they have to be able to pay the full cost out of pocket, while waiting until income tax time to get the other half back on their tax return. The same is true for the EI Training Support Benefit, which requires 600 hours of insurable employment within the previous year in order to access the benefit, even though precariously-employed workers already have difficulty accessing EI, precisely because they can’t accumulate enough hours within the qualifying period. Other micro-targeted solutions include allowing low-income seniors to keep more of their earning from income before clawing back GIS – helpful for those who are able to continue working past 65, but only helps a few people, and does nothing to address systemic issues in senior’s poverty. In the 2015 election, the Liberals vowed to eliminate the stock option tax credit. Budget 2019 only caps it at $200,000 per year for employees of mature firms (leaving it uncapped for startups and ‘rapidly growing businesses’). Overall, the fiscal situation remains rosy as we head into a fall election, leaving room for more big ideas that may be coming throughout the summer, fleshing out the details and expanding the reach of proposed solutions. The opposition made much of the fact that the budget isn’t balanced, but the federal debt to GDP is actually falling. The federal government could have spent less money on targeted marketized solutions, and more money on pressing needs that would make systemic change, like public childcare and universal pharmacare. Photo credit: Daniel Hu This work is licensed under a Creative Commons Attribution 3.0 Unported License.